It is no secret that I am totally coffee obsessed. I love my daily cup of coffee, but my teeth….not so much. I have been drinking coffee since high school and it was starting to take a toll on my teeth. But thanks to Smile Brilliant, I never have to worry about coffee stains ever again!! I have finally gained back my confidence about my smile, cause it hasn’t always been this way. 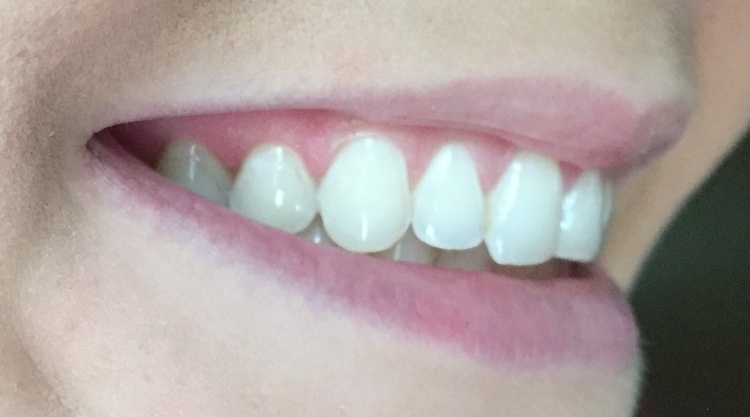 I have been let down in the past with teeth whitening products that were pricey, left my teeth feeling very sensitive, and showed very little results. 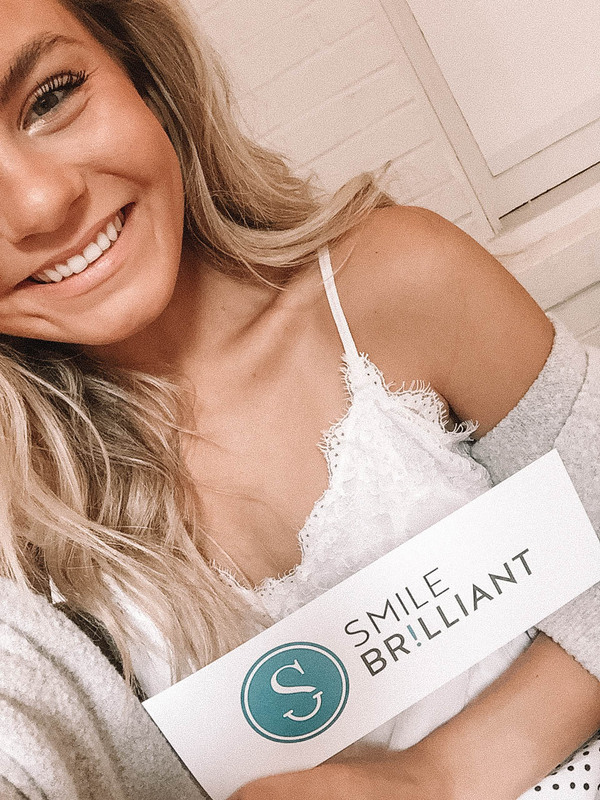 So I’m so excited to share my Smile Brilliant experience with you! 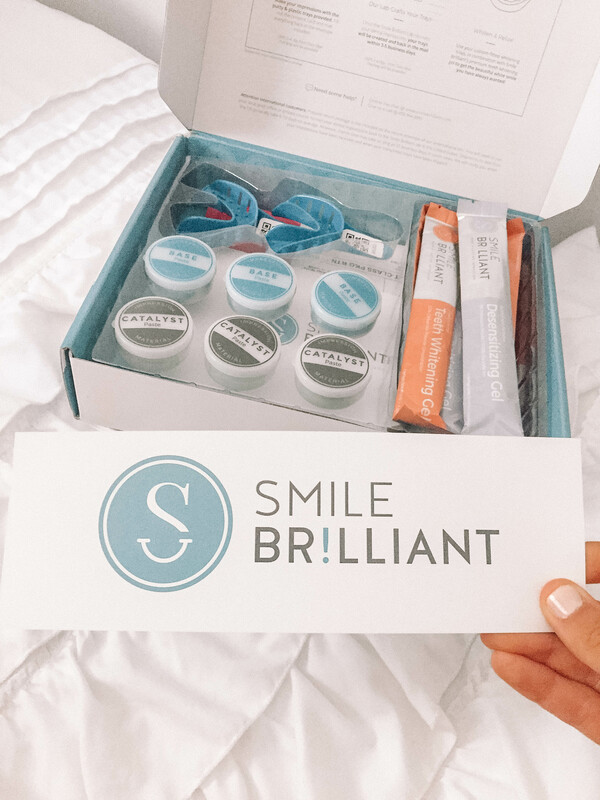 Smile Brilliant is professional at home teeth whitening system backed by science. Once you purchase your kit you will receive everything you need to make your dental impressions so the lab can create your custom-fitted trays. 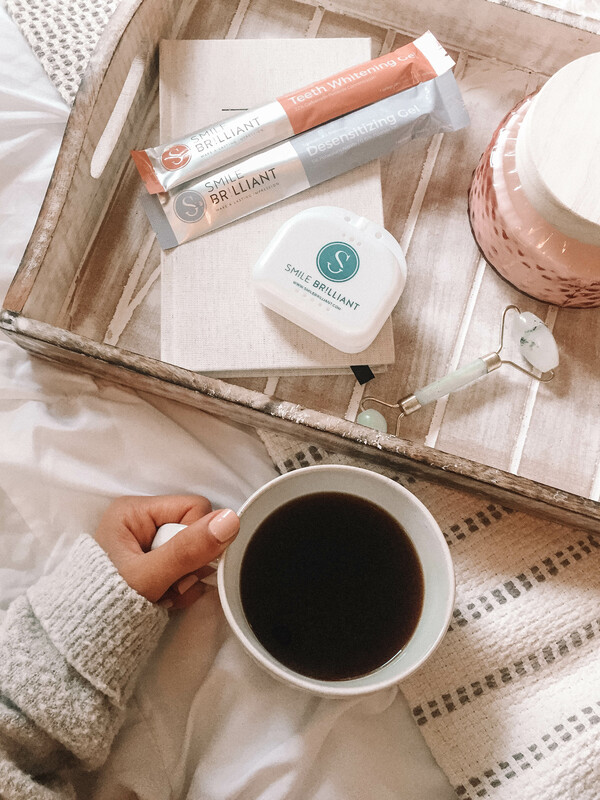 Your trays will arrive at your door and you’re free to professionally whiten your teeth in the comfort of your own home! I was honestly so impressed with how my teeth looked after one session. I actually saw a difference in my teeth immediately, something never saw in tradition teeth whitening strips. It’s so easy to use! The instructions are easily laid out with step by step photos. You can get professional grade whitening from the comfort of your own home! No need to change out of your jammies!! It’s affordable!! You will receive the same level of whitening you would receive at the dentist but for a fraction of the price. 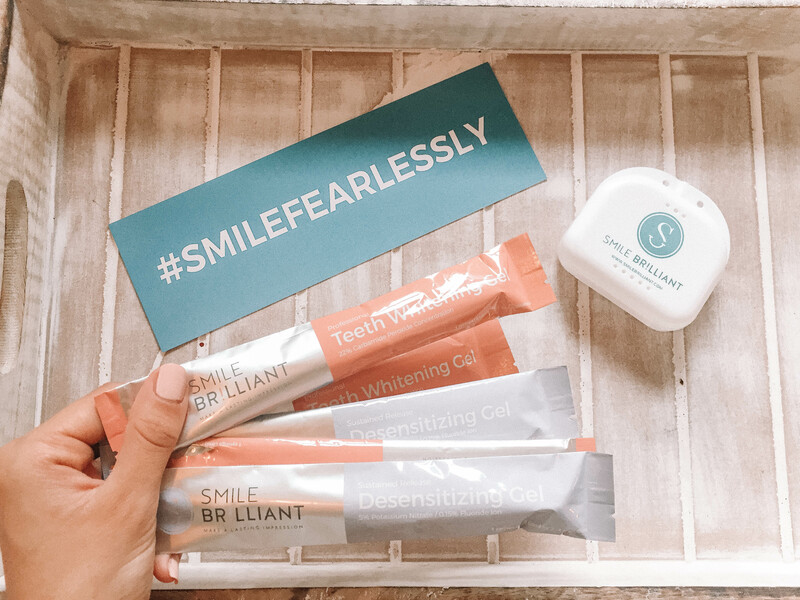 Smile Brilliant is very practical and easy to add to your nighttime routine. 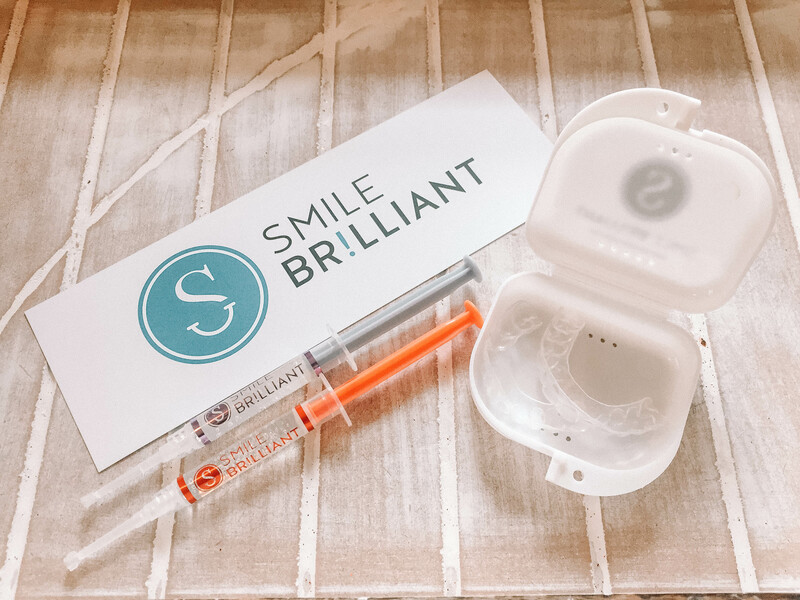 Want to win $149 credit to use on the Smile Brilliant site? Click HERE to enter!! !